The year is 1836, the last year of the reign of William IV, and the sunset of the Georgian era. The month is March, and the day is the 3rd—a cold and cloudy Thursday. The setting is the workhouse in Lambeth in Surrey, where one of the inmates has just died. 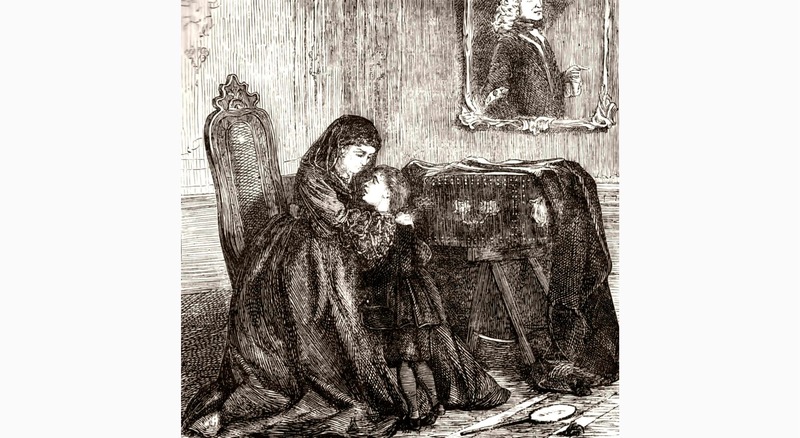 Ordinarily the death of a workhouse pauper would pass without comment, and countless numbers of poor Londoners are for this reason irretrievably forgotten. But there was something remarkable about Samuel Carlton, and what now follows is his story. 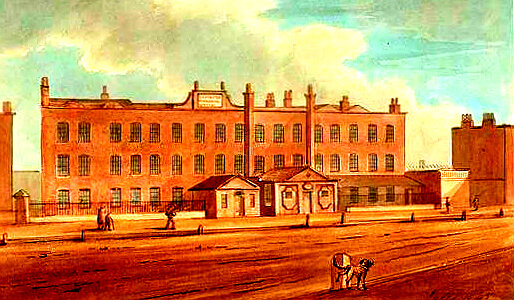 The workhouse stood in Workhouse Lane—now Black Prince Road—with Lambeth Palace to the north and Vauxhall Gardens to the south. Writing in 1831, the historian and antiquary Thomas Allen described it as “a mean erection of brick”. 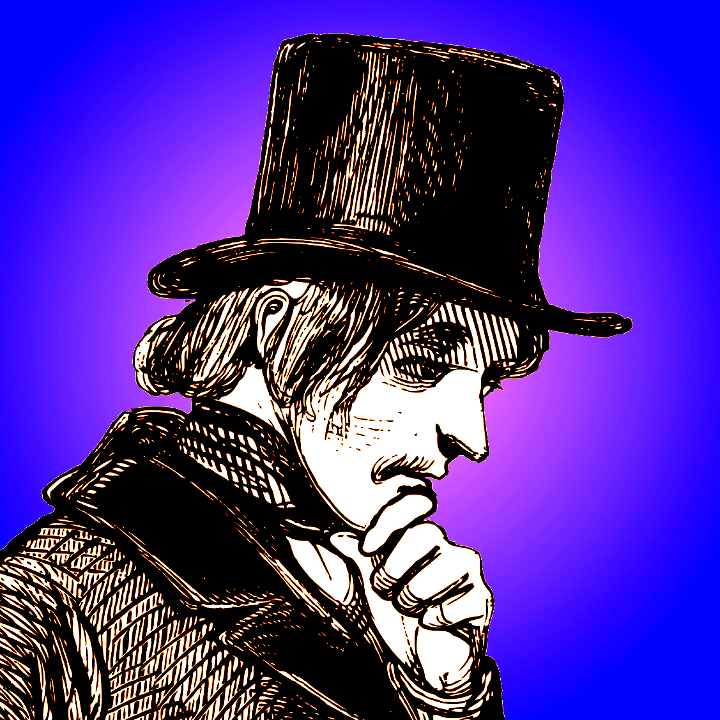 The area it served was one of the most deprived in the metropolis, and the problems—the “evils”—claiming the attention of the board of guardians at the time of Carlton’s death included alcoholism and theft. The washhouse was inadequate, and clothes had to be hung up to dry in the sleeping wards. The insane wards needed iron-barred cages in which inmates might be safely straitjacketed. Proper accommodation for cases of venereal disease and highly infectious itch was called for. The staircase in the infirmary was so poor that patients could not be carried between the upper and lower levels without discomfort and even harm. And it was here in the workhouse that Samuel Carlton, a pauper inmate, died suddenly on that Thursday in March. Immediately attendants began to lay out the body. But when they removed Carlton’s clothing, they discovered, to their astonishment, that he was covered from his chest to just above his knees with tattoos. The design consisted of horizontal slate-coloured lines, equally spaced, and each about an inch in height. The workmanship was extraordinary, and it was reported at the coroner’s inquest which was held a day or so later that the tattoos had been “so delicately drawn and inlaid as apparently to have grown in the flesh”. Only by feeling the dead man’s tattooed limbs could the true nature of the designs—grooved incisions made by some sharp implement—be verified. Mint Street in Southwark. Thomas Miller, writing in 1852, described the Mint as an area “which a bold-hearted man would hesitate to thread after dusk”. lllustration in Edward Walford Old and New London volume 6 (1878) p.60. Samuel Carlton was a Norfolk man, born in the market town of Thetford in 1780, but he moved down from East Anglia to London to find employment in the world of ships and shipping. By the time he and his wife Elizabeth, who came from Cornwall, had the first of their five children, they were living close to the river in Rotherhithe. Later they were in Castle Place, off Whitechapel Road, and later still in Mint Street in Southwark, on the other side of Borough High Street from the Marshalsea Prison, and then eventually in Lambeth Walk, not far from the workhouse. The inquest into Samuel’s sudden death was held at a public house, the George in Lambeth Walk. In the course of the proceedings, which were presided over by Richard Carter, the Coroner for Surrey, Elizabeth Carlton was called on to give evidence. In answer to the questions put to her, she gave an account of her husband’s life at sea. And although she declared that he had travelled here, there and everywhere, it was his experiences in one particular part of the world—New Zealand—that most raised the eyebrows of the coroner and his jury. Phormium tenax, the New Zealand flax. Illustration in Johann Reinhold Forster Characteres Generum Plantarum (1776) plate 89. At this point in time the European interest in New Zealand was largely commercial. Captain Cook, for example, had observed on his voyage to the Pacific Ocean between 1768 and 1771 that there was an abundance of timber “fit for all purposes except Ships’ Masts”, and that the native flax, the Phormium tenax, produced a “very strong fibre” that could be used to make rope. Almost certainly, then, Carlton had been involved in trading activities when he had the misfortune to become a prisoner of a Maori tribe. His widow did not appear to know how exactly this had happened, or, if she did, she gave no details at the inquest. But she knew that he had not been alone, that he had landed on the shore as one of a party, and that one of his companions had been captured with him. At some point their captors decided that the two men had to be tattooed, possibly as a way of “marking” them as the property of the tribe. The ethnographers of the nineteenth century who wrote about New Zealand described this central feature of Maori culture in detail. 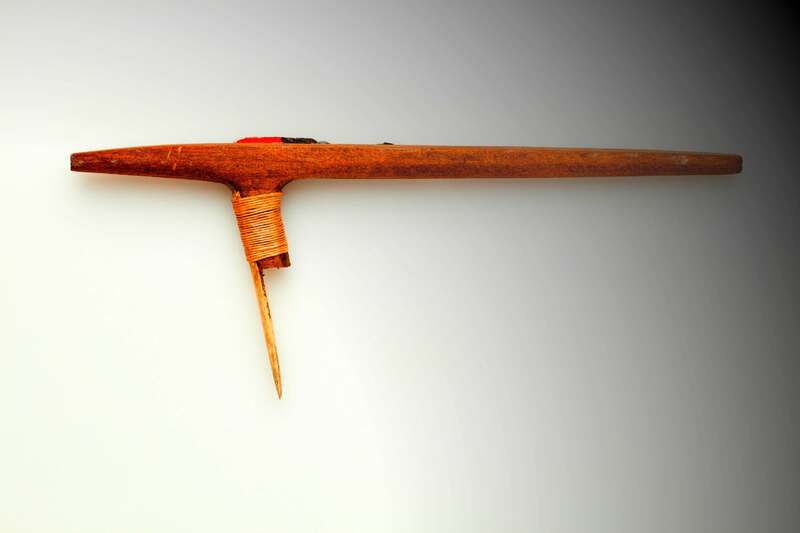 The tattooists would have used small chisels fashioned from various materials—a sea-bird’s wing-bone, a shark’s tooth, stone, hard wood—and furnished with a sharp or a notched blade. These were driven into the flesh by means of a light mallet, after which the blood was wiped away, and a pigment of soot mixed with animal or fish oil applied to the incision with a piece of flax. As a result of the chiselling the tattoo would have been rough to the touch, as noted by the workhouse attendants who fingered in utter astonishment the designs on Samuel Carlton’s corpse. Poor Carlton must have suffered terribly. The process took about three weeks—three weeks of excruciating pain—and he lost so much blood that he almost died. His companion managed to escape during the course of the tattooing, but Carlton enjoyed no such luck, and it was not until he had endured a long imprisonment that he finally broke free, and made his way back to England. There ill luck continued to dog him all the way to his death-bed in Lambeth. 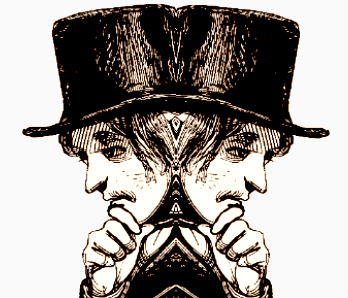 And by an extraordinary coincidence, at precisely the time that he was dying in the workhouse, another Englishman with an almost identical story was very much alive, and doing rather well out of his very similar experiences. 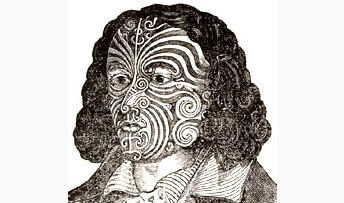 Portrait of Barnet Burns, showing facial tattoos. Artist unknown. Illustration in Barnet Burns A Brief Narrative (1835) frontispiece. 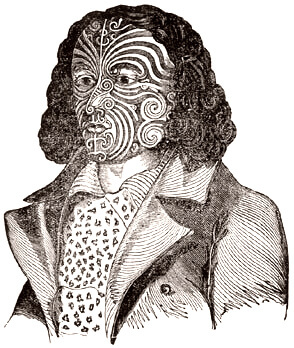 His name was Barnet Burns, and, like Carlton, he had sailed to New Zealand, where he had been captured by Maori tribesmen and subjected to tattooing. In his case, though, the tattoos covered his face as well as his body, and so on his return to England, in order to satisfy the inevitable curiosity, he wrote a brief account of his experiences. The book—or, at only thirty pages, booklet—was published in September 1835. By then Burns was already on tour. 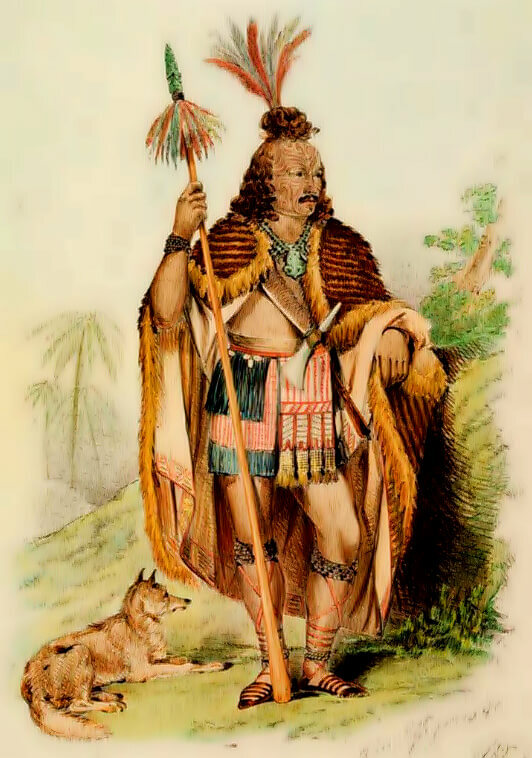 He had exhibited at the Surrey Zoological Gardens in July, and the following year on 2nd March, which was the day before Samuel Carlton died in Lambeth, he delivered a lecture at the Mechanics’ Institution in Southampton, wearing a war cloak, and exhibiting the preserved head of a Maori chief and other curiosities. Two days later, at the same venue, he performed the war whoop and dance, and demonstrated the use of native weapons and canoe paddles and fishing gear. And so it went on. But in the end he faded into obscurity, dying in Plymouth of cirrhosis of the liver. 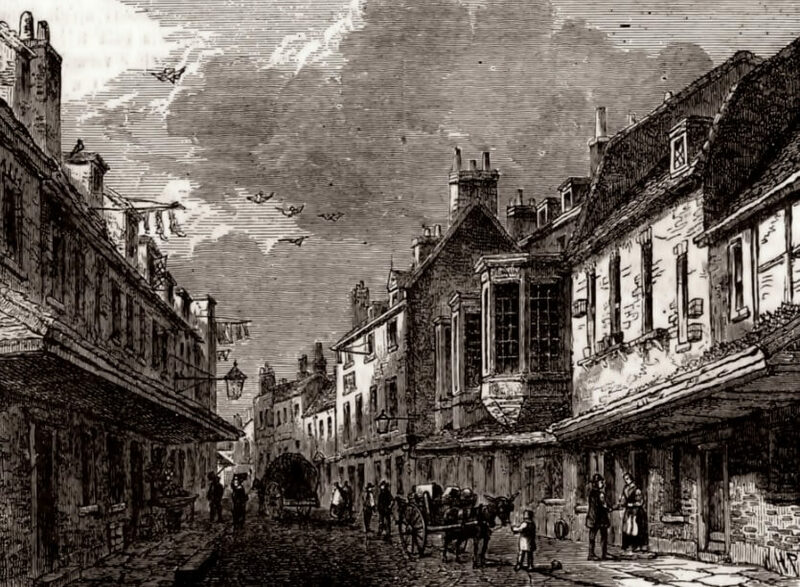 In 1835 Carlton was admitted into the workhouse in Princes Road. Elizabeth was there, too, as a nurse in the lying-in ward. She told the coroner at the inquest that her husband had been in very poor health. He appeared to be dying. But he was visited by the seaman who had shared his prison all those years ago in New Zealand. And, who knows, it may be that these visits brought him some solace. Even as his condition deteriorated, he regaled fellow inmates of the workhouse with details of all that he had been through. 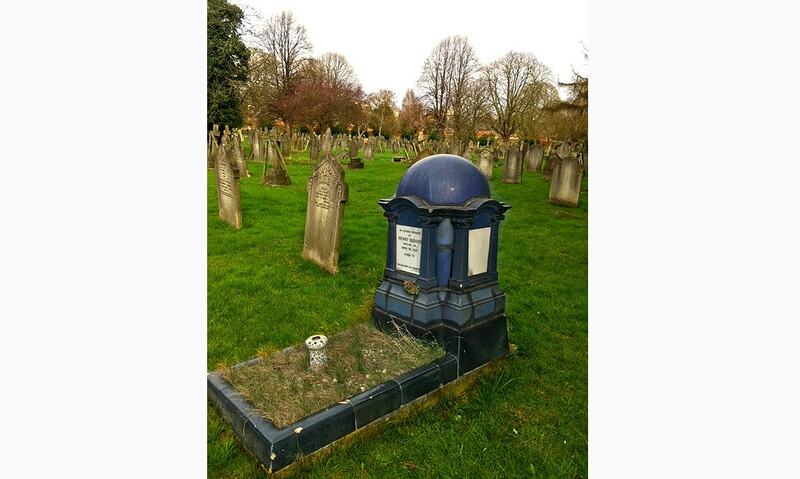 At the inquest it was revealed that on occasions he would say that “he had that about him which would not allow him to remain in his grave”. When asked what exactly lay behind these words, he would always refuse to explain. Possibly he meant that he had a guilty secret. Possibly he was afraid that his body would be preserved as some sort of exhibit. The verdict of the inquest, based on the opinion of the “several medical Gentlemen” who viewed the body, was that Carlton had died a natural death. He was sixty years old. One or two newspapers wrote a few lines about him, so in the end his tattoos saved him from sinking into complete oblivion. Elizabeth lived on for another eighteen years, working at the Lambeth workhouse as a nurse. Their children were not entirely smiled on by fortune: one of their sons, William, was given a three-month prison sentence for theft when he was barely out of his teens, and their daughter, Elizabeth Ann, married twice, the second time as a widow. Their third son, though, who was called James, became a seaman. A certificate of competency dated 1865 survives, recording the fact that he had qualified “to fulfil the duties of Only Mate in the Merchant Service”. Samuel would have been proud of him. Would he have also hoped and prayed—as do many fathers—that his son would not end up covered in tattoos? My principal source for the story of Samuel Carlton was a newspaper report that appeared on 7th March 1836. For the life and times of Barnet Burns I used his Brief Narrative, which, as stated above, was published in 1835. I wonder how painful it would have been considering it was normal for Maoris to be tattooed extensively. Perhaps they do it gradually rather than all at once though. Well, Carlton wrote an account of his experiences, in which he described being tattooed as “horribly painful”. The mind boggles!